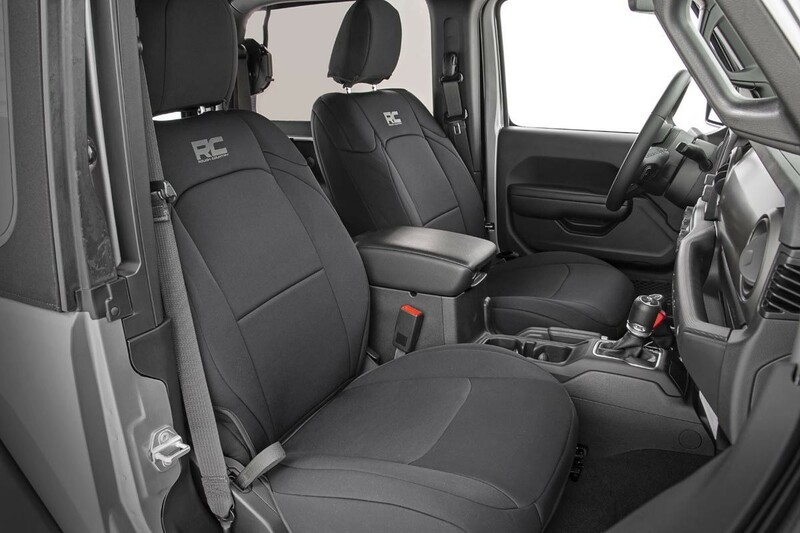 Protect your Jeep’s seats from water, mud, and anything you can throw at it with Rough Country’s front and rear Neoprene Seat Covers. 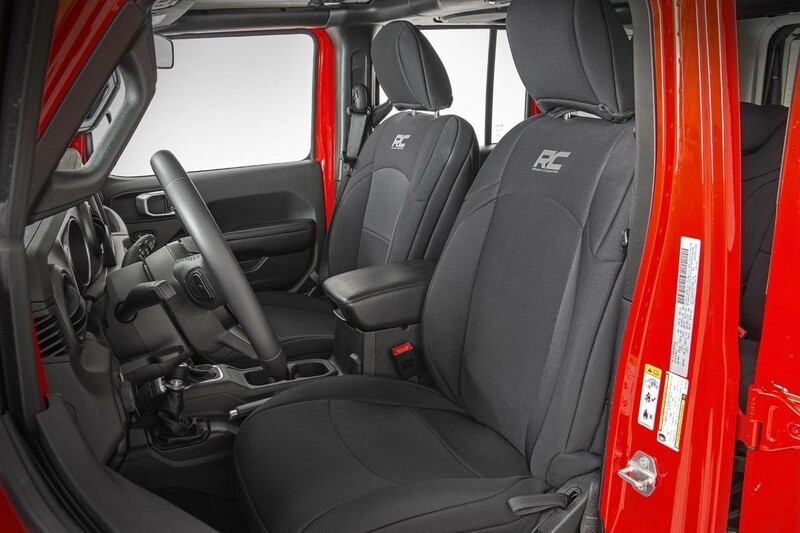 These easy-to install covers fit snugly over your Jeep’s seats to protect your interior from the elements while blending in perfectly. 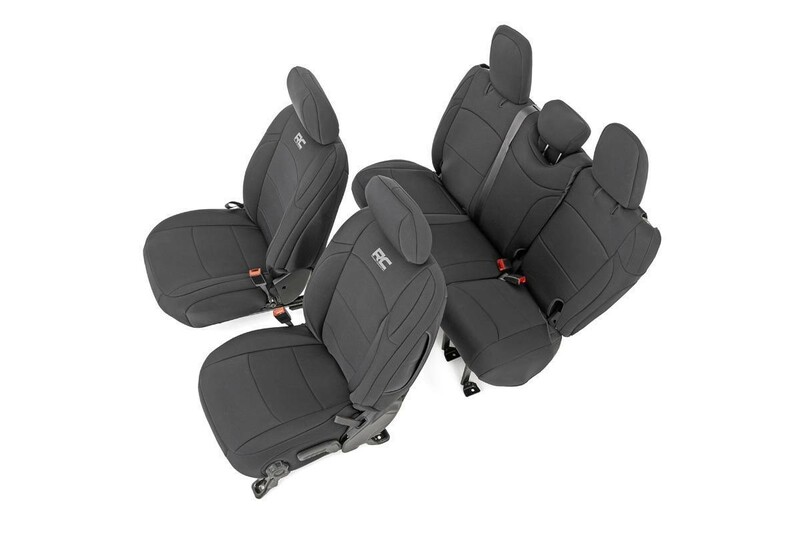 These comfortable seat covers feature a 4-layer construction with a thick foam padding for a comfortable feel and durable quality. 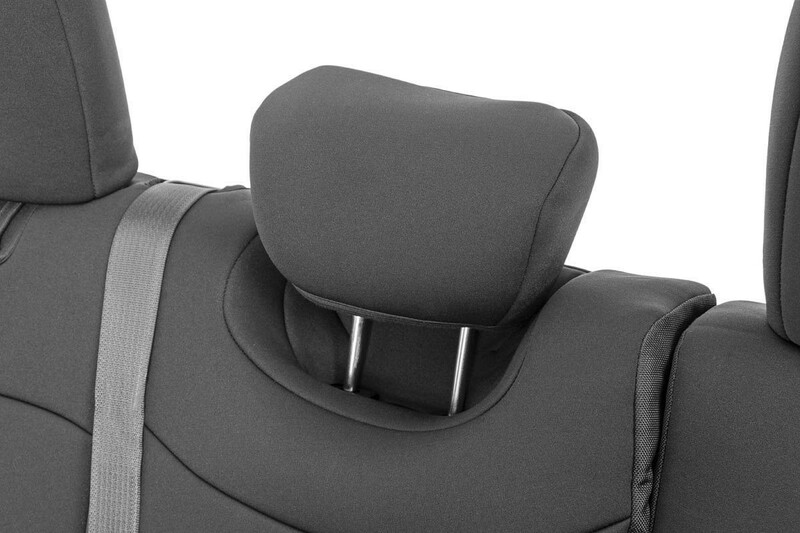 The outer Neoprene protective layer wards off water and mildew while being soft to the touch and offering great breathability. 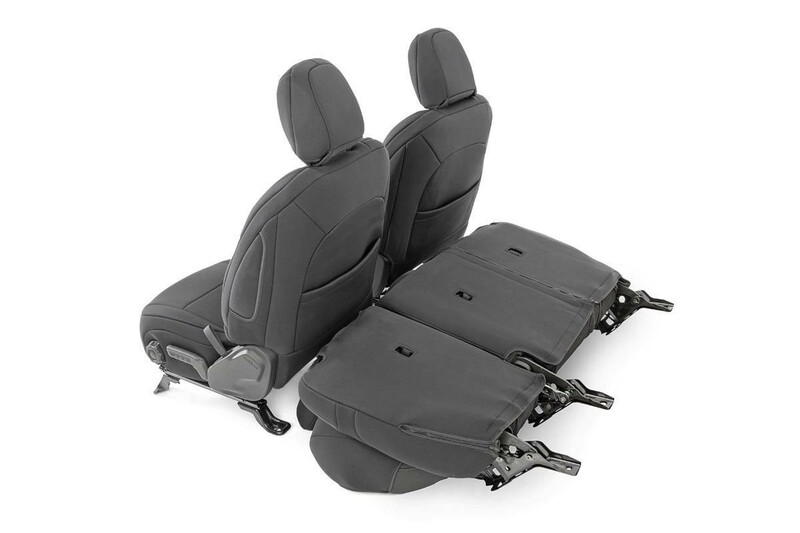 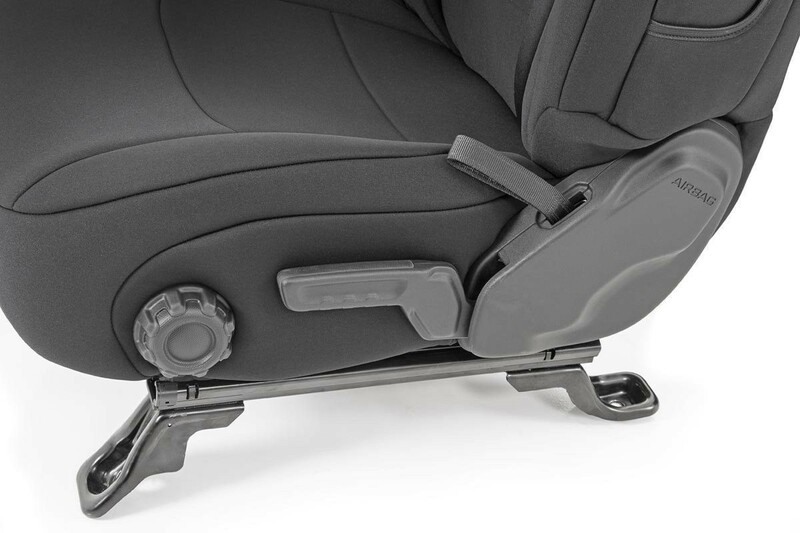 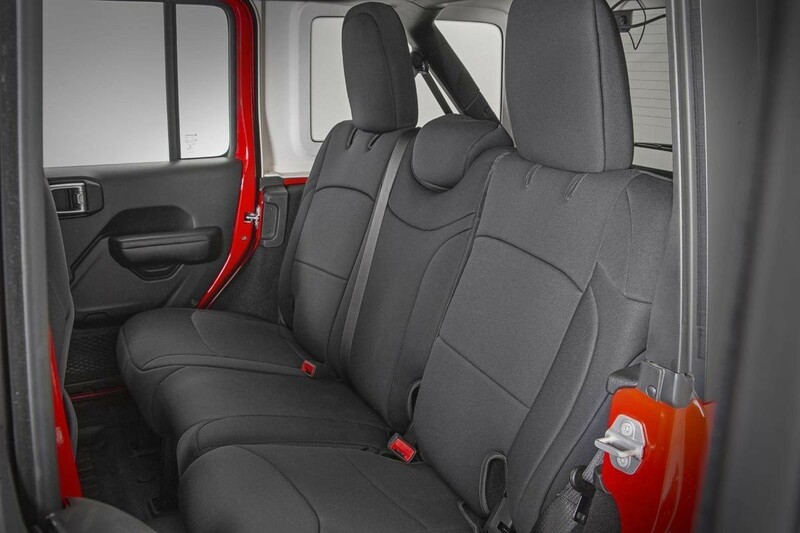 Each cover is designed to be an exact fit on your vehicle, with accessibility for airbags, seat adjustment, and more!